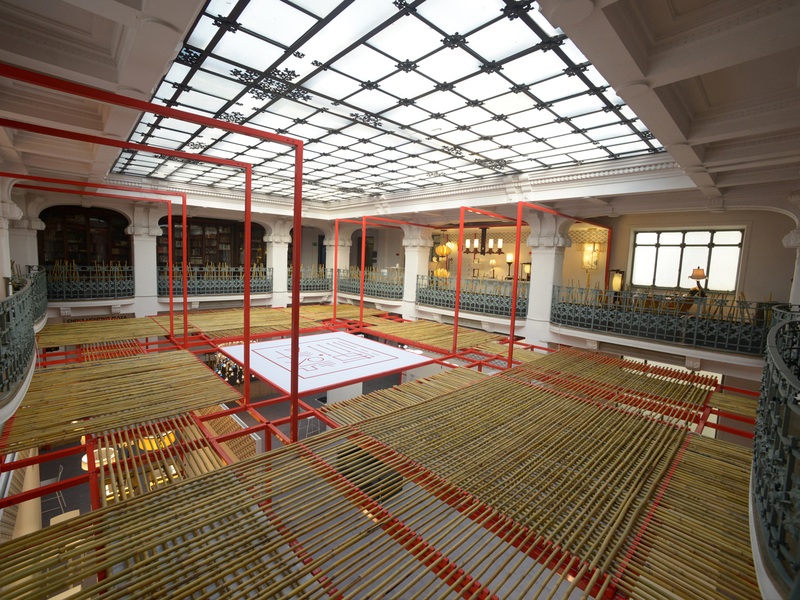 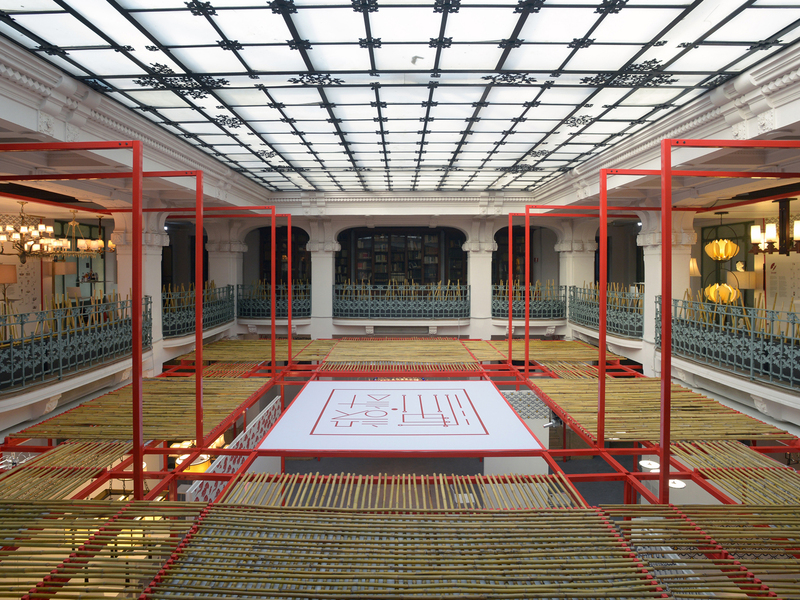 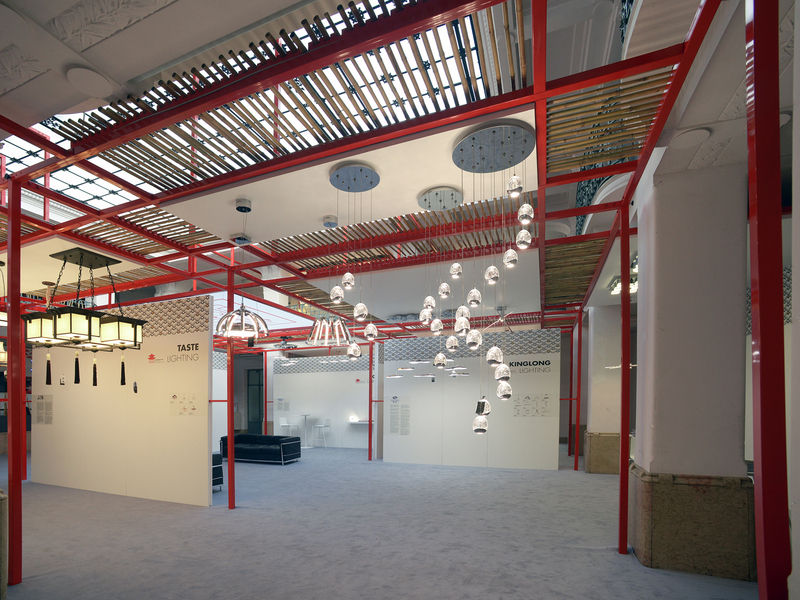 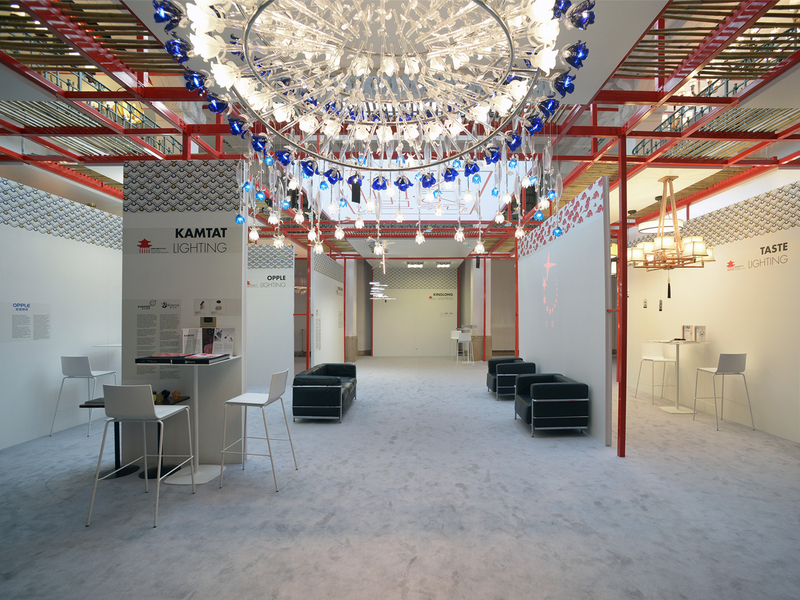 The exhibition is the brainchild of a meeting between Chinese and Italian cultures, for the exhibition of Chinese lighting companies, which took place at the Circolo Filologico in Milan during the Design Week 2015. 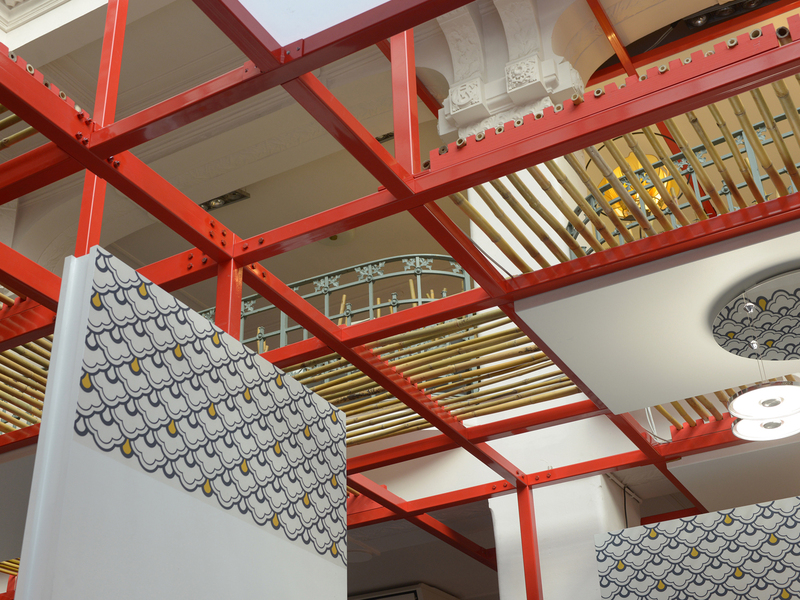 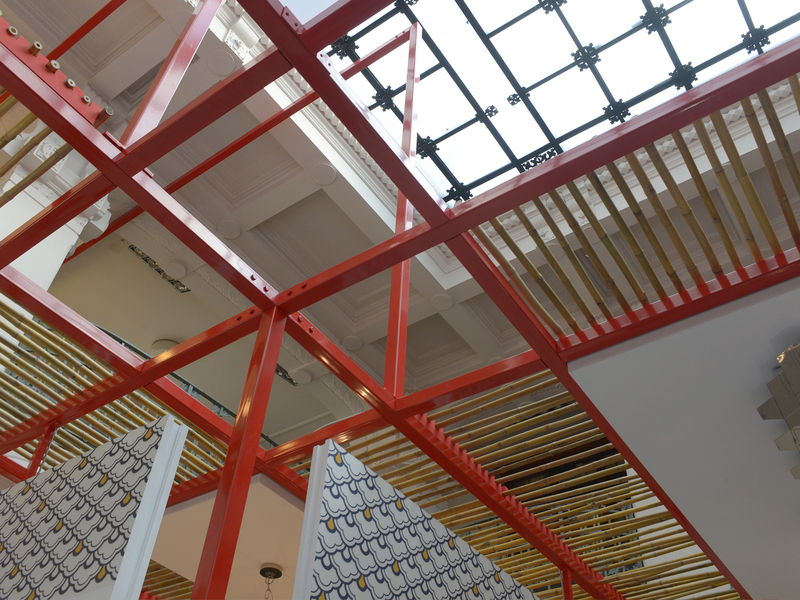 The red metal tubular structure develops to the interior space, rising and exploiting the potential of the suggestive double height of the Liberty room. 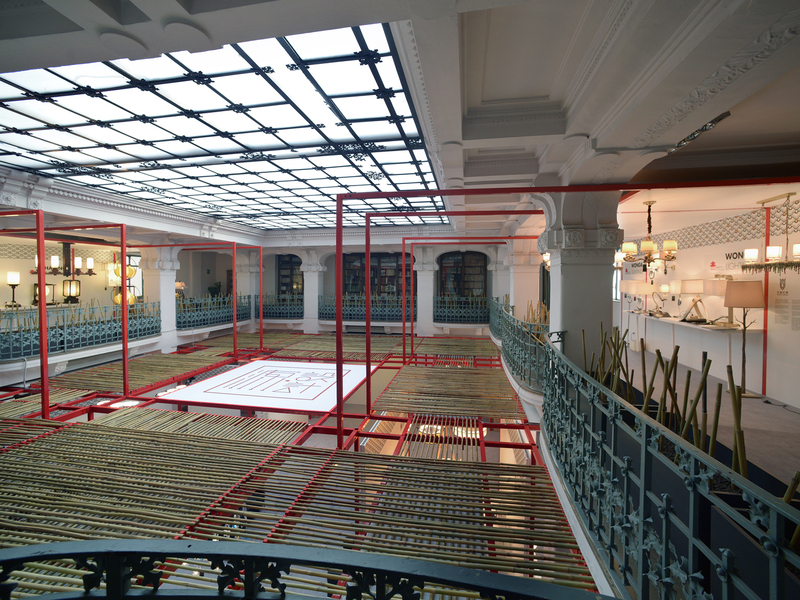 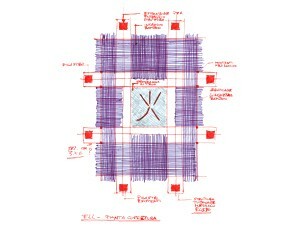 The first level is characterized by a cover resting on the metal structure consists of bamboo canes, whose plot still allows to glimpse and perceive the space as a whole. 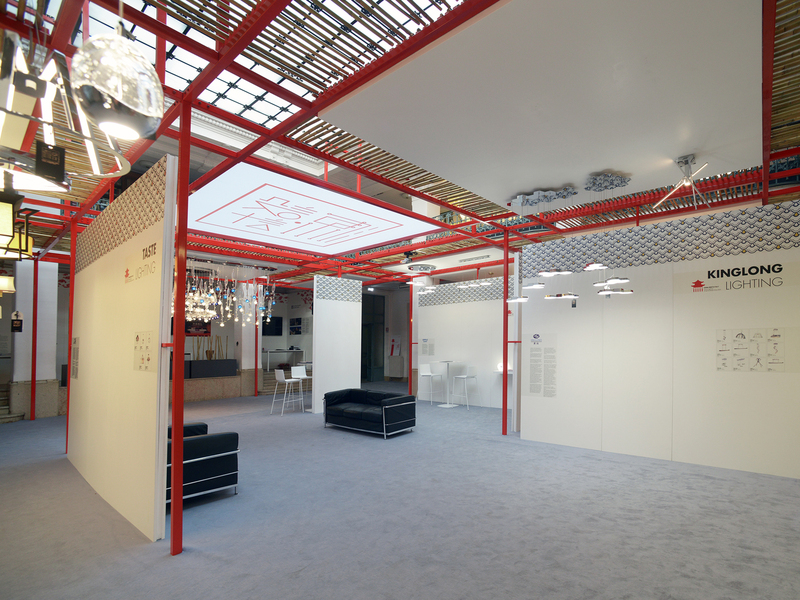 Simple vertical panelings, besides ensuring absolute flexibility of the paths, define the areas of expertise of the different exhibitors. 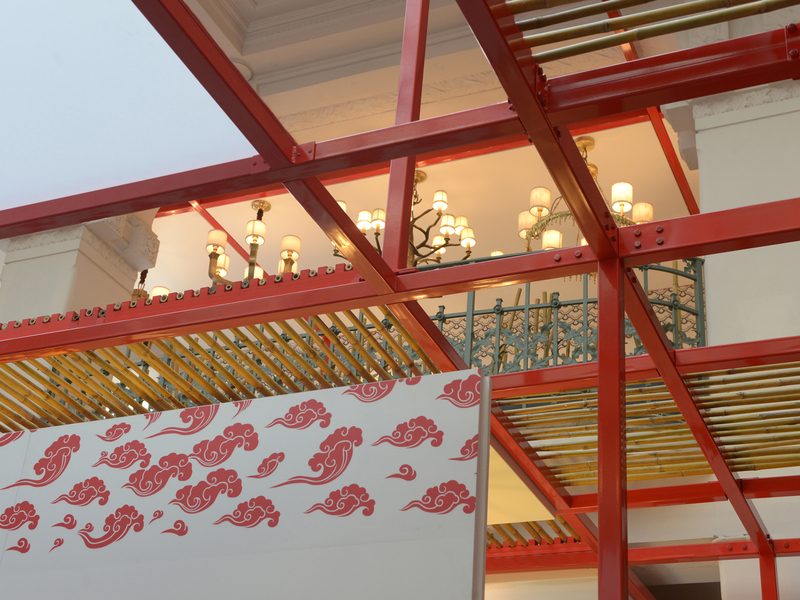 At the top level, the lamps have been arranged along the existing balcony, from which you can appreciate the particular cross-plot of the bamboo and the geometric structure.